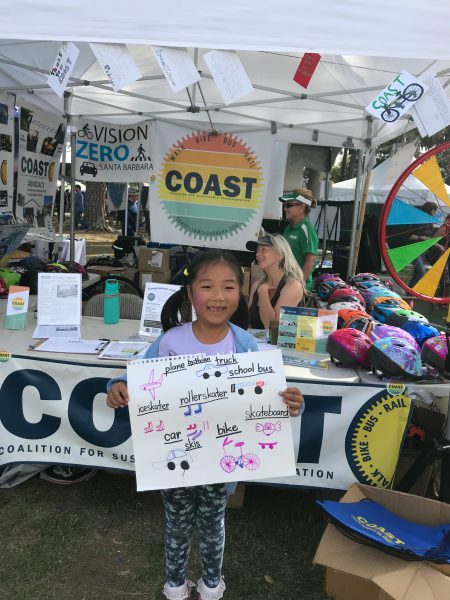 COAST provides advocacy, education and outreach to improve transportation options in the Santa Barbara and Ventura Regions, promoting rail, bus, bike and pedestrian access. A People-Focused State Street: Now is the Time! Join COAST in our State Street Redesign initiative to transform State Street into a revitalized, people-centered downtown promenade for pedestrians, bicyclists and shuttles only! “Santa Barbara’s Waterfront: Yesterday, Today & Tomorrow” with Dave Davis, former City of S.B. Community Development Director, current Water Commission chair and SB MTD Board Chair. 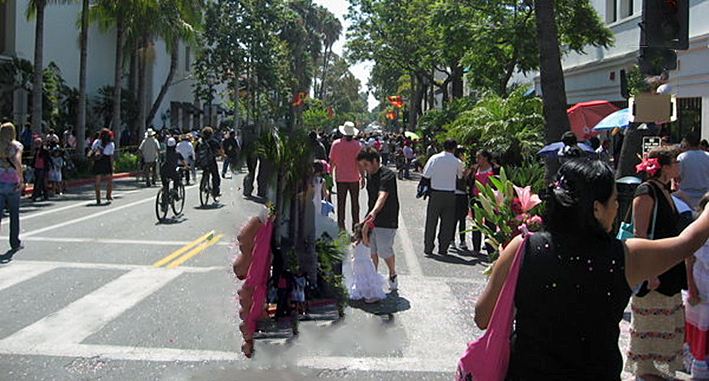 We’ll stroll west to east along Cabrillo Boulevard from the Harbor to Chase Palm Park. We’ll be chatting about the major changes that have occurred historically to our shoreline and discuss the significant challenges that sea level rise due to climate change will mean for our future. 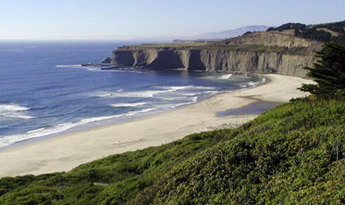 Meet on the West Beach-side walkway at the intersection of Cabrillo Blvd. & Bath Street, in front of the Sea Landing entrance way. The one-way walk will be a little over 1 mile long. 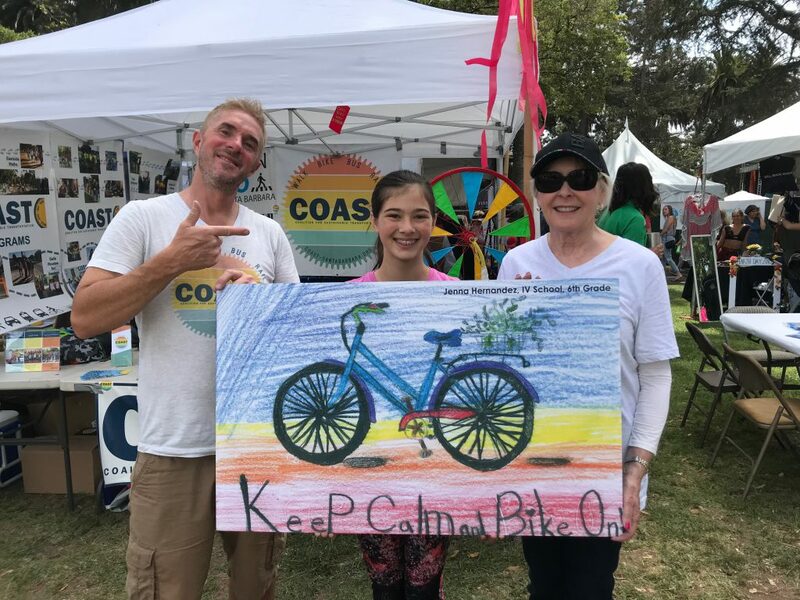 Parking is available on-street in the West Beach neighborhood on and off Cabrillo, and in the Harbor parking lot near our starting point, and in the City lots at Garden Street and Cabrillo Boulevard near our ending point. Something we missed? Want to post on our calendar? Please E-Mail us to let us know! Time to Spring Forward with COAST News! Just in time for the change in seasons, our Spring, 2019 edition of ‘COAST News’ has arrived. 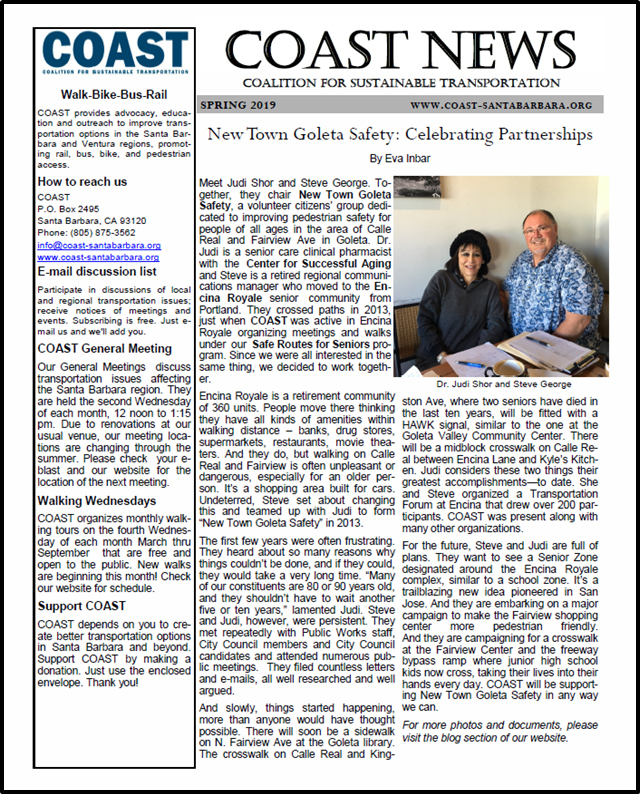 Click HERE or on the image below to view, read or print our latest newsletter.